Leatherette Slim Clutch Wallet Just $6.99! Down From $29.99! Ships FREE! You are here: Home / Great Deals / Leatherette Slim Clutch Wallet Just $6.99! Down From $29.99! Ships FREE! 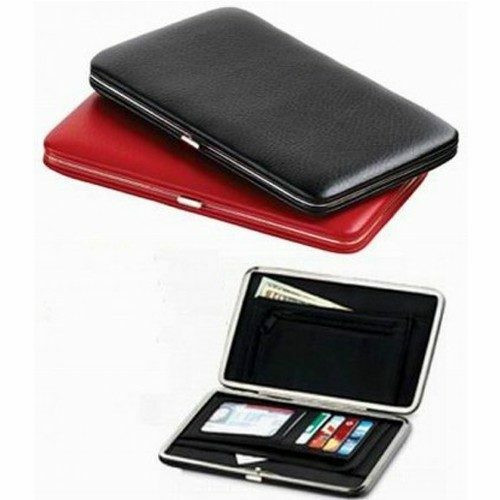 GearXS has this Leatherette Slim Clutch Wallet on sale for $6.99 (Reg. $29.99)! Plus you can get FREE shipping! Stylish and convenient, this ultra-slim wallet is only 1/2? thick, but features plenty of compartments to keep everything neatly organized. Features 4 slots for credit cards, a clear sleeve for a picture ID, 3 compartments for cash & receipts, plus a zippered pocket for coins. Sturdy case protects everything inside, and the push-button clasp makes it easy to open and close securely. Order yours today.